Lock in a great price for Chateau Vartely – rated 9.2 by recent guests! I loved the views, the accommodations, and the location. I thought the staff looked to put their best foot forward whenever possible. The room was clean and comfortable. The staff was nice and helpful. Breakfast was great also. 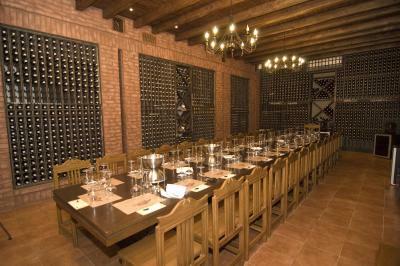 You can go on a tour of the wine factory and check out the wine cellar and also have a wine tasting. Nice property. Rooms nicely decorated in old fashion/rustic style. Staff was friendly and helpful, though not very motivated. Понравилось абсолютно все: сам дизайн шато, уютные чистые номера, приветливый и отзывчивый персонал . Реальность превзошла ожидания . Camere frumoase, curate, confortabile. Bucataria foarte buna.Asezarea pe deal, ce ofera o vedere de ansamblu asupra orasului.Amabilitatea personalului. Расположение, дизайн номеров, возможность наслаждаться качественным вином. Curatenia este exemplara. Baile din camere sunt dotate cu tot ceea ce este necesar pentru igiena. Dupa cate am inteles singurul motiv pentru care nu au patru stele este din cauza ca nu au piscina dar, credeti-ma, serviciile sunt de 4 stele! 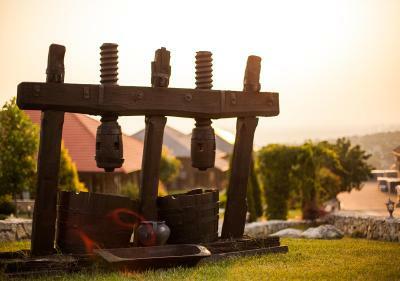 La restaurant mancarea este foarte buna. De vinuri...nu mai spun! Nu am vazut vreun ospatar sa serveasca fara manusi albe, imaculate. Personalul este atent si serviabil. Aflati povestea vinului pe care doriti sa-l beti sau vi se fac propuneri pertinente (de exemplu ce vin merge cu iepure care apropo a fost delicios!). Probabil personalul a fost instruit, sau au facut cursuri pentru asa ceva deoarece sunt in tema cu tot ce-i intrebi despre vin. Noua ne-a placut extrem de mult, ne-am odihnit minunat, linistea este aici la ea acasa. Un weekend minunat la Chateau Vartely. Am apreciat in mod deosebit asezarea si linistea. Recomandam neaparat si un tur cu degustare. Micul dejun a fost excelent, la fel si mancarea de la restaurant. Multumiri si lui Ion, ghidul nostru de la tur :) Speram sa revenim! Chateau Vartely This rating is a reflection of how the property compares to the industry standard when it comes to price, facilities and services available. It's based on a self-evaluation by the property. Use this rating to help choose your stay! 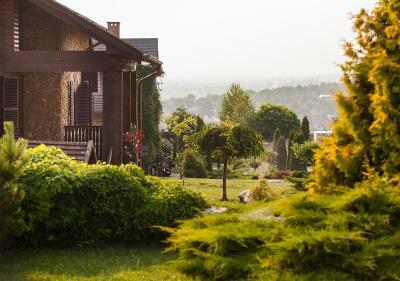 Located in the Château Vartely wine region, this 4-star hotel in Orhei offers an international restaurant with wine cellar, varied leisure facilities, and rooms with balcony. Chisinau is 28 mi away. The elegant Château Vartely hotel has air-conditioned rooms and apartments with flat-screen TV, DVD player, and free wired internet. All feature dark wood floors. 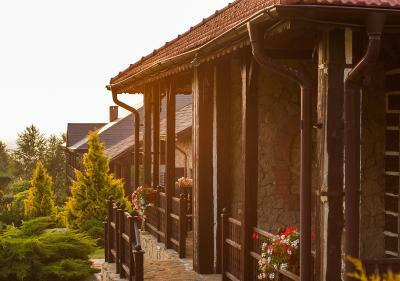 Fine Moldovan and European specialties and homegrown wines are served in the classical-style Château Vartely restaurant. Guests can also relax on the pretty courtyard terrace. A modern sauna and hot tub are available at the Vartely Château. 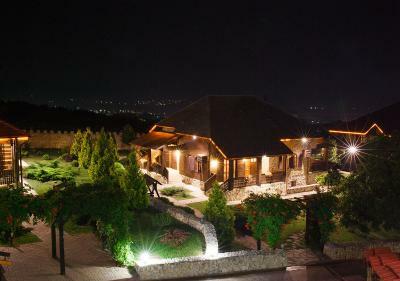 Guests can also play table tennis, darts, and billiards. Chisinau Airport is 37 mi away from the hotel Château Vartely. Free private parking is available at the hotel on request. 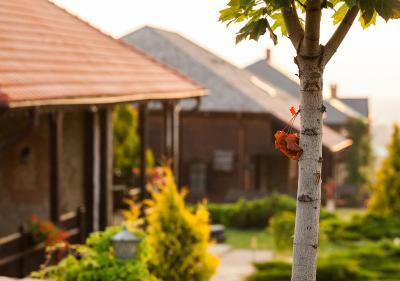 This property also has one of the top-rated locations in Orhei! Guests are happier about it compared to other properties in the area. 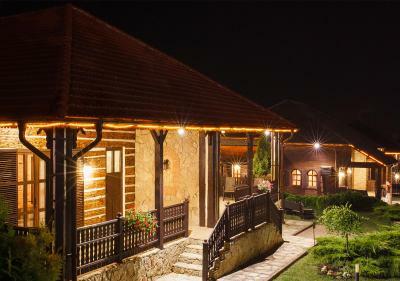 This property is also rated for the best value in Orhei! Guests are getting more for their money when compared to other properties in this city. When would you like to stay at Chateau Vartely? This air-conditioned room features a TV and a private bathroom. This air-conditioned apartment room features a TV and a private bathroom. It also comes with a fireplace and a balcony. House Rules Chateau Vartely takes special requests – add in the next step! Chateau Vartely accepts these cards and reserves the right to temporarily hold an amount prior to arrival. weak WiFi. if you want a wine tasting as a single person you have to pay for two. staff not very enthusiastic. 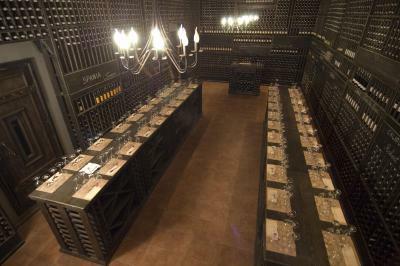 It was not possible to do a wine tasting in the restaurant - before dinner for example. Food in the restaurant tasted actually quite good, but i gave me major stomach troubles the following morning. The waiters should be a bit more receptive. When you order a bottle of water at the start of breakfast you shouldn't get it at the end. The no.5 room is above the laundry room, so in the morning a fan started working and it made a lot of noise. To start. 1) There were two of us staying in the Hotel the night I checked in. They put us both in the same lodge (Perfectly fine)....however, in showing me to my room the sprinkler was on walking up to the door in which I got a little wet. (Still perfectly acceptable)...however, over the course of a couple hours every time I left the room I had to get wet leaving. So, naturally....at some point I politely asked "Is the sprinkler going to be there all night? Yes, was the reply. That's where I was like "So, you thought that was the best room to give me? The one where I dodge getting wet all night?" They moved the sprinkler. 2.) They have tour packages that start at 2 and go up to 3-5 etc. They're was no tour packages for just one traveler. Which I thought was poor planning. 3.) I would think guest staying at the Hotel would have a tour included in the stay. It seems like a rational add on to a guest of the Hotel.